In Ballymun, socks are scarce these days. So says Jimmy Leonard, who’s lived in the area since 1966, and other commuters on this minibus headed towards the Omni shopping centre agree. On a recent Friday afternoon, they’ve piled aboard to make the weekly trip out to Santry, where the basics can be bought, plus a few extras. I go with them, to see how they do their shopping since Ballymun’s Main Street has declined to the point that it no longer offers the things that people in the area need to buy. As we travel, we talk about the failed 2007 masterplan for Ballymun, and recent failed attempts at bringing in private developers to build a new centre for people to shop. We also talk about the good old days, when knicker elastic was strong enough to support a woman’s pistol. As Ballymun Town Centre rose and fell, local residents have found themselves disenfranchised, forced to ship out elsewhere for their weekly shopping. For groceries, most trek to either Aldi on Santry Avenue or Dunnes in Charlestown, according to an October 2015 shopping survey. Seventy-eight percent of those surveyed said they were dissatisfied, or very dissatisfied with the shopping in Ballymun. That wasn’t always the case, says Leonard, as he recalls the kids who’d queue for Mannings Bakery every day after school. Jimmy Leonard has lived in the area for half a century. Now, along with Alex Sproule and Michael McCardle, Leonard avails of the Vantastic service rolled out in conjunction with Dublin City Council last June to assist the elderly and disabled of Ballymun in making sure they’ve their weekly shop done. The scheme, says Vantastic service manager Anita Coughlan, has been extended to a number of neighbourhoods in Dublin over the last few years, including Ballymun. Today’s trip has seen a number of last-minute cancellations, but that doesn’t stop the back-and-forth between the Ballymun shop-routers. While there’s a lack of basic shops, there is no shortage of chemists in the area, they all agree. A disagreement ensues about whether it’s four or five. Sproule moved to Ballymun some time in the 1970s, he says. Back then, locals could meet in the café of the shopping centre for a chin wag, or nip into the nearby drapers. When Tesco closed in April 2014, there was precious use for the near-empty Town Centre. That echoes what Linda Sherard said, earlier in the month, as she stood chatting with a group of women at the St Vincent de Paul shop in the near-empty shopping centre. “Since Tesco closed, Ballymun has gone down,” she said, and pointed out where, inside the shopping centre, a busy market also used to spread out. A model of the never-built regeneration of Ballymun town centre. The manager at St Vincent de Paul, Catherine Cole, said she thinks the shop has been been there for about 28 years. Soon, they’ll be moving to another premises in line with the council’s continued push to empty the units. In the new place, they plan to serve coffee, to try to give people a place to socialise again, she said. 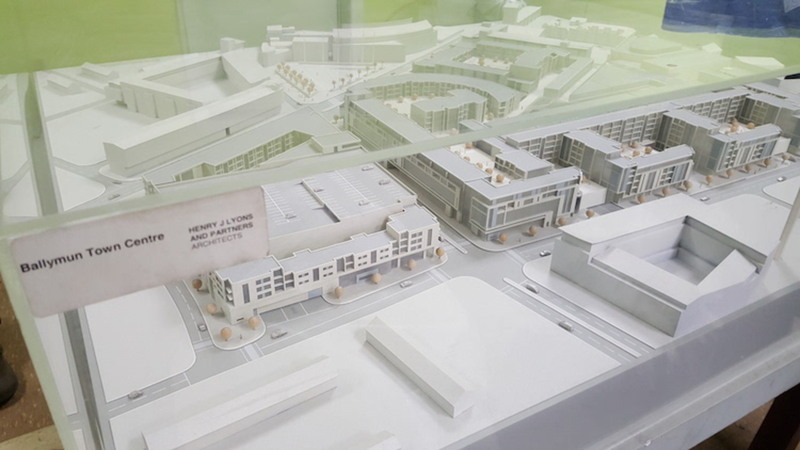 In one shuttered unit across the corridor from the St Vincent de Paul store, there’s still a model of a once-promised new town centre, the grand plan put together for an enormous swathe of shops, offices, and homes. It never happened. Earlier this year, it looked like there might finally be developers interested in building a new shopping centre in Ballymun. But that’s fallen apart, said Dublin city councillor Noeleen Reilly, of Sinn Fein on Tuesday. There were a few obstacles, including difficulty getting an anchor tenant, said Reilly. “The German supermarkets that they’re targeting want a stand-alone unit, like all their other units, and that’s an issue,” she said. As we clamber out of the minibus at the Omni, Leonard, Sproule, and McCardle separate and potter off towards various shops. Each seems to have a sequence, ticking off their list the required items they can’t find back in Ballymun. For Leonard, it’s straight to the e-cigarette stall to purchase liquid for his wife’s friend, who can’t make the trip up herself. Picking up bits and bobs in Omni, as well as the weekly shop, Leonard nips in to Tiger to see what’s on offer: nick-nacks he can’t find back in Ballymun, with its plethora of pharmacies, one bookies, and the pension shop. He picks up a plastic set of googly eyes and brings them closer for inspection. It wasn’t always so difficult to purchase basics like knickers and socks in Ballymun, says Leonard. He recalls his elderly grandmother mourning the decline of good quality underwear for the revolutionary women. These days, the Ballymun St Vincent de Paul shop is inconsistent in stock, says Leonard, who still buys some items there and brings them along to Omni for alterations or repairs. In Santry, he can purchase the flaky food required for his tank of tropical fish, and browse the nearby CEX store for computer parts. Having become a tech-head in 1981, Leonard is always on the lookout for bargain hard drives, iPods, and iPhones. While the Vantastic service costs a one-off registration fee of €5, Leonard used to take a €20 round-trip from his home in Ballymun. With a series of obfuscating bus routes through the area, it was a struggle to find an alternative, he says. And he’s not alone. 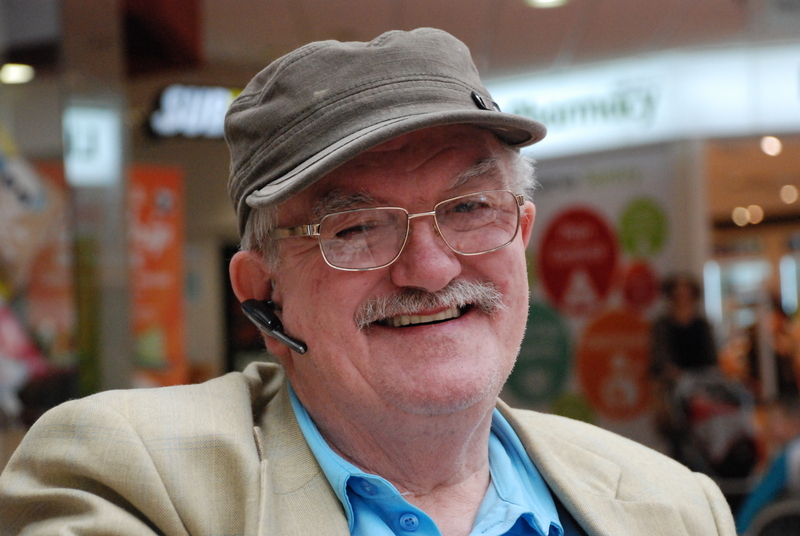 Michael McCardle has lived in Ballymun since 1980. A carpenter by trade, a batch of heart attacks put paid to his woodworking days some years ago. There was little he could do for his weekly messages in the period between Tesco’s closure and the rolling out of the Vantastic service. He now brings along an extra-large wheelie bag to stockpile for the week, a subject of mockery for his fellow travelling shoppers. McCardle heads straight for the Lidl at the opposite end of the centre, where he can purchase bacon, dog food, courgettes, wire cutters, sugar, fish and fresh bread. His total comes to €77.50, which he hands over dutifully to the cashier, after my wallet fails to materialise on his behalf. Although there’s a Centra and a SuperValu back in Ballymun, McCardle says not everyone can make the trip to them. Not everyone drives. Now at least he has the Vantastic service. On a Friday, two shop routes run: one at 10:30 am and the other at 11:30 am. Ballymun locals are left at Omni for two hours and dropped back home afterwards. Out of the nearby Dealz comes Sproule, who has had a wander before taking the plunge into Lidl for the big shop. Sproule says he sometimes takes the Number 4 bus to Phibsborough if he needs shopping before the weekly Omni trip. “There’s need for a proper shopping centre in Ballymun” he says. He’s quick to refer to the 2007 masterplan for Ballymun, which has yet to come to fruition. 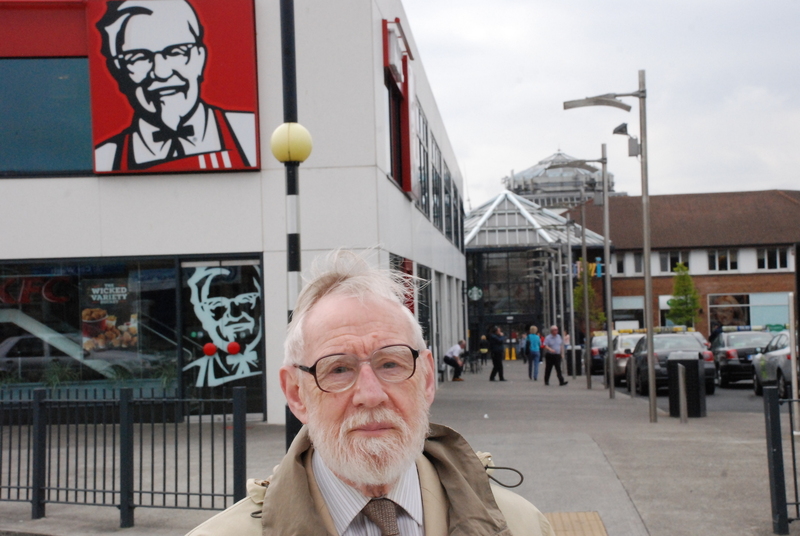 The old shopping centre did once hum with activity, he says, and even in its dying days, before Tesco shut, there was something of a communal aspect for locals. 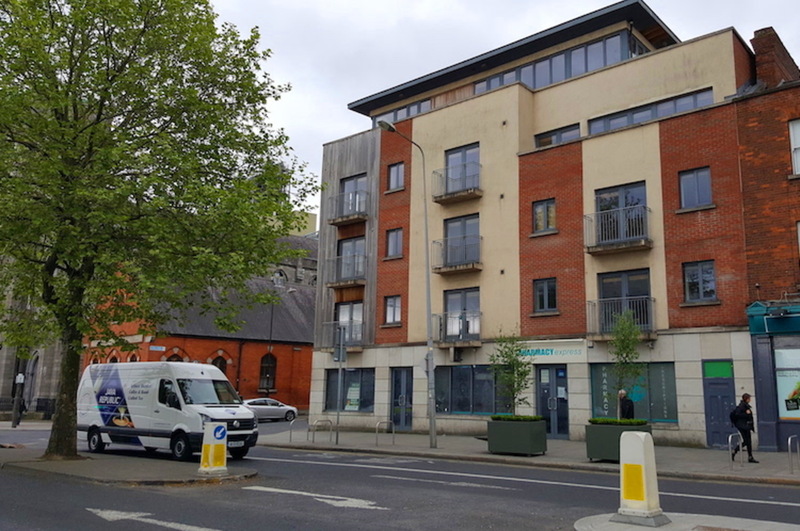 The Ballymun-Whitehall Partnership, located in the shopping centre, closed down in March 2015. It had provided all kinds of community programmes, from addiction services to back-to-work help. It’s been detrimental to the community, says Sproule who, like many others in Ballymun, built up relationships with those in the partnership over the years. 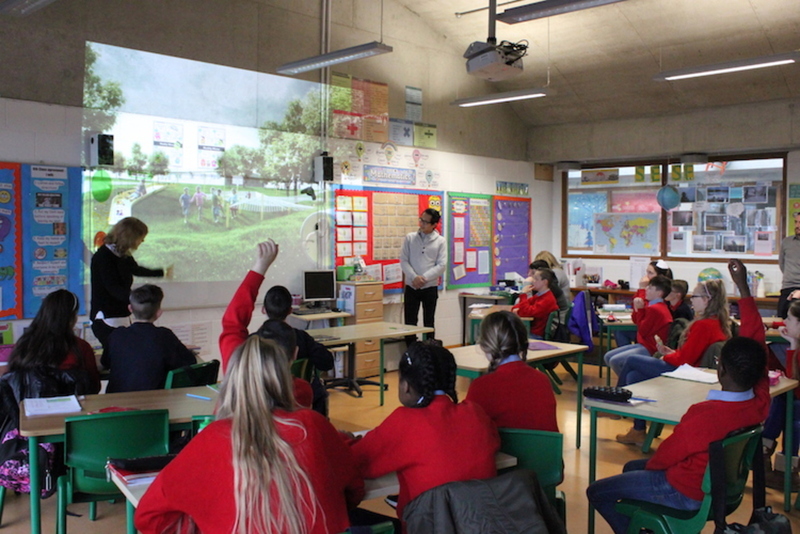 Under the government’s Social Inclusion and Community and Activation Programme (SICAP), the Ballymun-Whitehall group lost out on funding, which went to the Tolka Partnership in Finglas and Cabra. They’re not the only ones who feel as if the community is, at times, treading water. Sinn Fein’s Noeleen Reilly says she’s going to press for Dublin City Council to develop a shopping centre directly, without involving a private developer. Having packed up McCardle’s messages, I’m walking Sproule over to Lidl when I catch Jimmy Leonard plonked in the coffee shop, taking a sus beag from his shop. These weekly trips, while necessary, also offer the chance for banter with other Ballymun residents. Each week, Leonard rings the Vantastic offices on everyone’s behalf, to ensure they’ve a seat booked for the trip. Apart from a revamped shopping centre, he’d love to see a cinema in Ballymun, for the children. When he worked security in the old centre, it was busier than Omni is now, he says. It’s just the bookies you might nip in for now, he says. There were two or three butchers around the area when Leonard was younger. Now there’s zilch. The bakery’s gone, the pubs are few. And with barely a fresh pair of socks in sight, it’s Omni or bust for some in Ballymun these days. 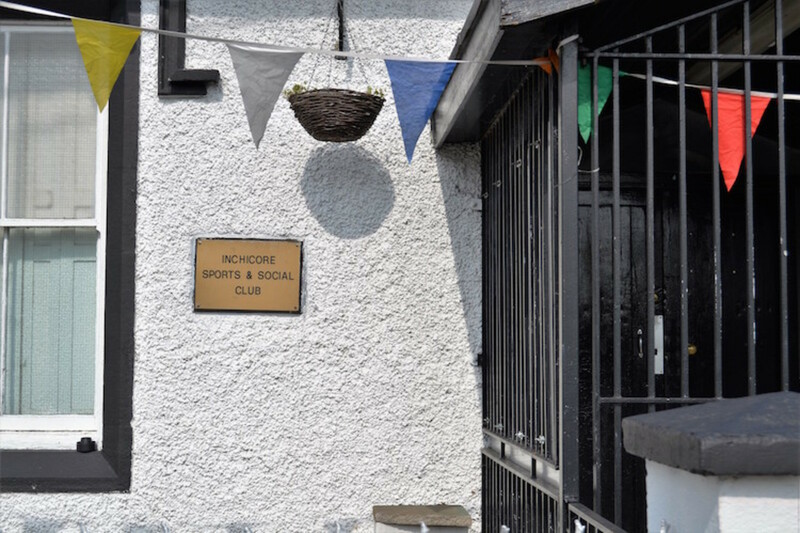 Can a Brewery Save Inchicore's Social Club?